(Dylan Charles) Those of us who have experienced true magic in our lives have been wondering when modern science will somehow bridge the gap between science and spirit, and wondering what will happen to the world when these forces finally unite. It’s coming. Is magic real? Sure it is, which is why there’s such a long and storied history of it in every human civilization, and why so many people practice it everyday, whether they realize it or not. Dean Radin, PhD, is “Chief Scientist at the Institute of Noetic Science (IONS) and Associated Distinguished Professor of Integral and Transpersonal Psychology at theCalifornia Institute of Integral Studies (CIIS).” Having explored the frontiers of human consciousness for decades, he is one of the world’s leading parapsychologists. Among the many thousands of scientific papers, journals, articles and books he has written, his forthcoming work, Real Magic: Ancient Wisdom, Modern Science, and a Guide to the Secret Power of the Universe, will explore the links between magic and science. 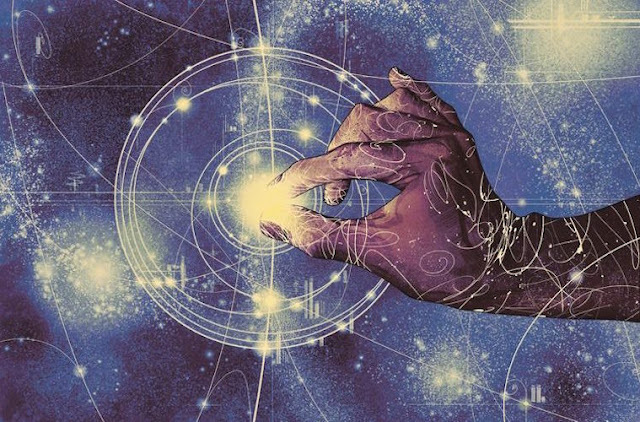 Real magic, he notes, consists of three categories: Divination (think Tarot reading, The I Ching), force of will (The Secret, Power of Intention), and theurgy (shamanism, channeling), and magical thinking is everywhere today, seen as superstitions and prayer. “When you think about magic, we’re talking about ancient ideas, and in the same way that alchemy turned into chemistry, and that astrology turned into astronomy, more or less, herbalism turned into the pharmaceutical world, there’s a fourth level of what used to be called natural magic, which will turn into real magic at some point. In a presentation for the International Transpersonal Conference in 2017, Radin gave an hour-long talk on the cutting edge of our understanding of magic, beginning with the historical background of esoteric ideas. We are realizing that much of the esoteric knowledge from our past is correct, and that one mind, or consciousness, is the creator of our conscious experience, and that consciousness is more fundamental than the material world. If consciousness is fundamental to our experience, then through the manipulation of consciousness we have an extraordinary amount of control over the material reality we create for ourselves. He goes on to explain how science is on the brink of a revolution because our context of understanding the esoteric is evolving along with our technological advances. So far, we have been unable to integrate magical thinking into the sciences. 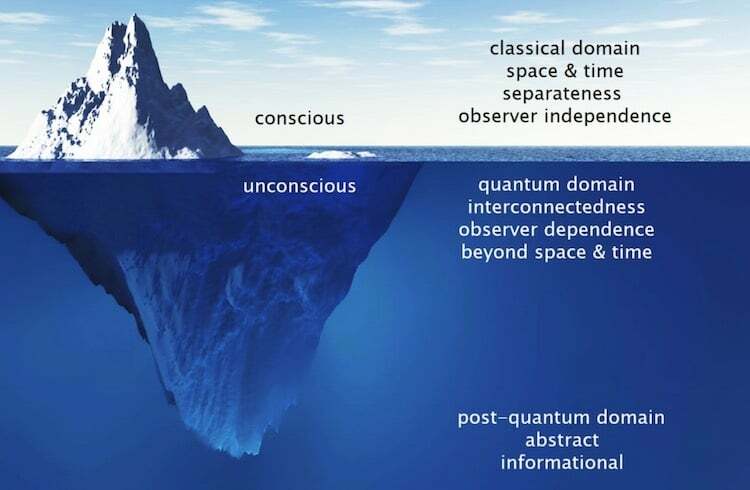 Now, however, we have deep knowledge of the subconscious domains of the psyche along with the inter-connected nature of quantum physics, which is progressing into the post-quantum domain of abstractly presented informational realities. To get us there, Radin’s team is involved in designing experiments which test the powers of the human mind’s effect on the physical world. To test the effect of intention they had traditional Buddhist monks bless a quantity of tea, which was given to test subjects, demonstrating that those who believed they were drinking blessed tea, felt a significant boost in mood and energy levels. Furthermore, using a photon quantum entangler, another study demonstrated that a person’s intention on the entanglement of photons does in fact positively affect the behavior and relationship of the photons, a new version of Schrodinger’s famous findings. At the cutting edge of our understanding of human consciousness is the realization that science was born out of magic, and in order for our greatest potential to be fully realized, these two domains must finally unite. Dean Radin is calling on the scientific community to integrate magical thinking into the contemporary scientific domain. The full presentation with slides can be seen here. This article (Leading Consciousness Researcher Bridges the Gap Between Science and Real Magic) was originally created and published by Waking Times and is published here under a Creative Commons license with attribution to DylanCharles and WakingTimes.com. It may be re-posted freely with proper attribution, author bio, and this copyright statement. Like Waking Times on Facebook, Follow Waking Times on Twitter.